As 2017 comes to a close, I just want to take a minute to thank everyone who’s contributed to this site, who’s shared posts, who’s purchased using the affiliate links, who’s generally done all manner of things that help keep this place going. This site is forever a work-in-progress, and while I’m really excited about new things that’ve been added as of late, I have lots of plans for future features I think are gonna be really helpful and awesome. However, I’m one person who has a full-time job, a part-time job, and now a baby, so here’s the part where I beg everyone to please keep shopping via affiliate links as often as possible, and also to use that little “Buy me a coffee” link wherever you see it; that money will go to periodically hiring interns/assistants to help not only keep up the site and its associated social media, but work on new resources currently in progress, including Literature in Translation, a new series whose first post you can find here, and a page dedicated to historical romance organized by period/location. Of course, I always encourage donating directly to queer people in need directly, and you still can find plenty of links to do that under Support up top; please make liberal (heh) use of them! Aaaand that’s it! Thank you for another great year here, and looking forward to lots more reading together under the rainbow in the new year! I’m thrilled to welcome A.E. Ross to the site today to discuss a topic near and dear to my heart: writing a character who’s questioning their identity when you happen to be questioning yours. Their book, Run in the Blood, just released on Christmas, so once you check this post out, check the book out too! Some people have that one crystal clear moment where it hits them like a silver spoon travelling at high velocity towards the surface of a crème brule. One solid crack and they just “get it.” For me, it came in the form of seven words. “It’s okay if you don’t like it.” I had been agonizing over the why and the who and the how for so long that I hadn’t stopped to just accept that things were fine — that i was fine — the way I am. Some people figure out their identity quickly, and experience little fluidity. Others will spend their entire lives trying to get to the bottom of who they are. These are just two extremes, with a million unique experiences in between, but I belong closer to the second group. When I wrote my fantasy novel, Run in the Blood, I was questioning pretty much every part of my identity and I was desperate to find any kind of reflection to reassure me. In my experience, you mostly find questioning characters in coming out stories. It’s a brief stage the protagonist goes through before accepting their identity, for better or worse. In Run In The Blood, I really wanted to include a character who maybe didn’t quite figure it out over the course of the narrative. Not a romantic lead, just someone woven into the story who was realizing that maybe there were some big questions they needed to ask themselves. After all, we’re all out there, just going about our daily lives and at the same time, wondering why there are specific parts of us that just don’t make sense when held up against societal expectations. In Run in the Blood, that character is Del. He’s a soft-spoken, humble scout with a big heart. His sexual identity isn’t even a question for him until he reaches that moment that many LGBTQ people come to over the course of our lives, where we find ourselves in a situation that just doesn’t feel the way it’s supposed to. The main representation of a long-term relationship in his life is his parents’, and it’s a deeply unhealthy one. It’s given him a certain expectation of how his own future relationships will work, and the moment reality clashes with expectation, he hears that tell-tale crack of the spoon hitting flambé’d sugar. The surface shatters and then suddenly all you can see is the pieces, and not the way they ought to go together. The reason it’s important to me to see questioning characters in queer literature is that it normalizes the uncertainty of dealing with fluid identities. It reassures me that it’s okay to understand that there is an inherent disconnect between who we are and who we see ourselves as, and that it’s okay to investigate that chasm. Just make sure you bring a flashlight, rope, and maybe some snacks: it could take awhile. The most difficult part of questioning my identity has been asking myself “Why don’t I like this? Why isn’t this working” and coming up empty on answers. There was no representation in media where I could see my struggle reflected. All I could find was people who had figured it out, but no indication of how they got there. When we see these questions reflected in the stories of literary characters, it helps reinforce that validity. For Del, I didn’t want to resolve his questioning over the course of the book. He wasn’t the main focus of the plot, and I didn’t think he needed a “eureka!” moment, I just wanted to leave him on a hopeful note. If I write a follow-up, he’ll get to explore what his feelings mean and what questions he may still need to find answers to. I am a different person than I was when I wrote this book. I’m deeply grateful to know more now than I did then, but there are so many things I’m still trying to figure out. Regardless of when or how I get those answers, what I do know is that If you’re questioning your identity, that’s a positive thing. You’re asking yourself the hard questions, and trying to get a better understanding of who you are, and that’s admirable no matter how long it takes. There’s nothing wrong with not knowing your identity immediately, and there’s nothing wrong with never really being sure. Whether your identity is static or fluid, it’s valid. If you’re not sure what your identity is, and you’re still looking for answers to those questions, you are valid. The “eureka!” moment doesn’t have to be a solid and unwavering realization of your identity. For me, it was as simple as the realization that I am fine just the way I am, regardless of how long it takes to figure out who that is. You can find A.E. online at their website, on Twitter, and Facebook. Run in the Blood is now available via NineStar Press and Amazon! 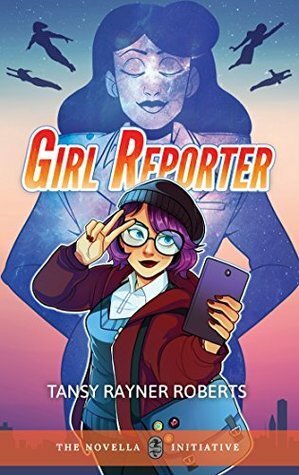 Guest Post: LGBTQ Superhero Recs by Tansy Rayner Roberts, author of Girl Reporter! 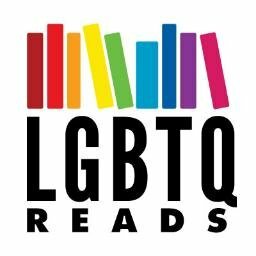 Please welcome Tansy Rayner Roberts to LGBTQReads today! She’s the author of Girl Reporter, a bisexual f/f superhero novella, out today, and she’s here to rec some more LGBTQ superhero stories! I’ve been thinking about LGBTQ superhero stories a lot lately, because a) I’ve been reading lots and they’re great, b) I’ve been writing one! But also c) the kids in my life have always loved superheroes and so I’ve spent a lot of their childhoods looking at how those stories are shaped, and what they offer in the way of crunchy, learning-to-human content. I know for my daughters, some of their first introduction to queer fictional characters came through comics and other superhero narratives –and there’s a lot more of this around than when I was a teenager. I think the only LGBTQ characters I came across in comics before I was 20 was one unrequited kiss between Fire and Ice Maiden in Justice League America, and a brief passing mention from Tasmanian Devil that he was gay, dropped into the background of a comic about something else. I didn’t even learn about Blue Beetle/Booster Gold slash fiction until I was in my thirties. Talk about deprived! Ahem. There’s some cool stuff out there now. Here are some of my favourite LGBTQ superhero stories across various media. Young Avengers — still one of my favourite comic series, often held up as a shining example of queer representation. Volume I (2005-2012 told across several mini-series, check out this post for reading order) introduced the epic love story of Billy Kaplan and Teddy Altman, whose romance has survived superhero boot camp, space invasion, depression, and family drama (where one side of the in-laws are magical and/or supervillains and the others are intergalactic royalty from two warring alien races, holiday dinners are always awkward). The fact that they’re two boys in a romantic relationship has actually been the source of least conflict in their lives, which is refreshingly normal. Volume 2 of Young Avengers (2013-2014) now available as three trades or a fabulous hardcover omnibus, added bisexual genius Patriot, and heroic dimension-stomper lesbian America Chavez (who also had two moms). Which brings us to America, written by Gabby Rivera, a comic that launched in early 2017 and brought us Marvel’s first queer Latin-American character with her own series. The trade of the first story arc has just dropped and is absolutely worth grabbing! Another Marvel comic often singled out for queer representation is Runaways (one of my daughter’s all-time favourites). The original run written and drawn by Brian K. Vaughan and Adrian Alphona (2003-2004) introduced a bunch of teens who go on the run after discovering their parents are supervillains. Karolina Dean’s identity as a lesbian was brought out quite gradually through the original comic (though her awesome rainbow light “costume” was a heavy hint, and her sexuality was later made more overt. She ended up in a serious romance with Xavin, a shapeshifting and gender-shifting alien. There’s a new Runaways comic just started this year, written by Rainbow Rowell. I’m loving this trend of giving popular superhero comics franchises to established YA authors. There’s also a TV show coming out soon (finally) which will hopefully stick to the diversity of the comics – the fact that they cast a slender actress to play Gert means I’m not getting my hopes up, but we’ll see. In TV superhero-land, our family has recently discovered Steven Universe, which has some wonderful queer representation including an unusual family structure. Steven, the son/reincarnation of a fallen alien superhero, lives with her three female teammates/best friends the Crystal Gems who are training and raising him along with his Dad. Steven’s entire foundation story is built on the narrative of women loving women, romantically as well as platonically. Steven himself identifies strongly with female heroes, often imagines himself as a woman, and sometimes forms a female ‘fusion’ with his best friend/love interest Connie. We’ve also been watching Season 2 of Supergirl, which has had its ups and downs but did present us with a coming out storyline around Kara’s sister Alex, including a reasonably healthy (eventually) romantic relationship with Maggie Sawyer — a character often linked romantically in comics with Batwoman, one of the rare lesbian characters of the DC superhero universe. My favourite Batwoman portrayal is in the DC Bombshells series by Marguerite Bennett, a World War II Alternate Universe which features only female superheroes. Here, Kate Kane is a baseball player in the women’s league as well as a vigilante crimefighter. The series is wonderful precisely because it is an AU — so openly queer characters allowed to be happy despite the historical background, as well as having superhero adventures without male characters getting in the way. Harley Quinn/Poison Ivy appear along with dozens of other beloved DC women — including Wonder Woman, depicted for the first time in a relationship with a woman in an official DC title (she has since been officially acknowledged as bisexual in the main comics continuity — here’s hoping the movies follow suit!). But what about fiction? Superhero YA fiction is really just starting to gain traction in the market with some fantastic releases over the last few years, including Gwenda Bond’s Lois Lane YA series, Shannon Hale’s Squirrel Girl, and C.B. Lee’s Sidekick series. I really liked the supporting character of Bells (a shapeshifting trans teenager) in Not Your Sidekick (2016), and was delighted to see that the second book in the series, Not Your Villain (2017), featured him as protagonist since he was clearly getting up to all kinds of mischief when his best friend Jess wasn’t paying attention. That one’s high up on my to-read list, as is Sovereign (2017), the second volume of the Nemesis series by April Daniels, which has a trans girl superhero as protagonist. In the first volume, Dreadnought (2016), I was deeply affected by Danny’s painful and at-times emotionally wringing story. My favourite recent YA superhero story is still Superior by Jessica Lack, which was published by the Book Smugglers in 2016, as part of their Year of the Superhero. This fun story is a romance between a Jamie, a superhero intern and his counterpart Tad, intern to a supervillain. The classic set up of hero/villain romance works great with this story which is just so beautifully and cleverly written. Though really, it’s worth checking out The Book Smugglers’ entire Year of the Superhero collection of stories, with a special shout-out for Hurricane Heels, a collection of “magical girl” superhero adventures, with f/f romance as well as friendship. Superhero stories are a great way to tell stories about difference and diversity; so many of the classic tropes in the genre are about being outsiders, transition, metamorphosis, keeping secrets, the importance of teamwork and support systems, finding a new family, and perception vs reality. For a long time, superhero stories in the comics at least were so busy trying to distance themselves from being a ‘kiddie’ platform that they missed out on some great opportunities to bring in new readers and tell stories about young, new characters facing a superhero reality. Thankfully that’s in the past and some of the most interesting and successful superhero comics of the last decade or more have been about teenagers. I hope to see some new LGBTQ characters appearing in the superhero comics universes (and just as importantly, giving ongoing series and support to the characters who already exist, as happened this year with America and Iceman). But really, when it comes to superhero stories with influence, it’s the Marvel (and now DC) movieverse that needs to step up. Where’s our Young Avengers movie? Why is Harley Quinn being stuck in a movie franchise with the Joker instead of Poison Ivy? Can Wonder Woman get a girlfriend in the sequel? What are your favourite LGBTQ teen superheroes, and who would you like to get their own solo comics title or movie? Tansy Rayner Roberts is a fantasy and science fiction author who lives in southern Tasmania, somewhere between the tall mountain with snow on it, and the beach that points towards Antarctica. You can hear Tansy ranting and raving about all things science fiction feminist on the Galactic Suburbia podcast, and all things Doctor Who on the Verity! podcast. She also reads her own stories on the Sheep Might Fly podcast. Her new novella, Girl Reporter, published by Book Smugglers Publishing, is available now. New E.E. Ottoman book alert! And look at that cover! That blurb! That, well, everything; this book looks seriously incredible. While I haven’t had time to read anything that isn’t YA lately, and so haven’t yet gotten to devour it, you better believe I bought it ASAP! 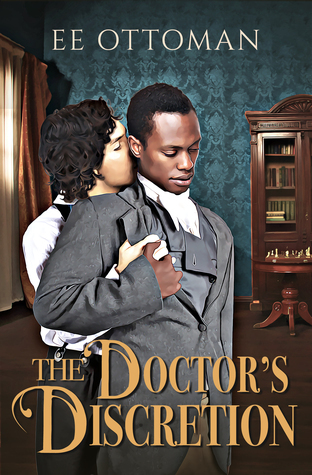 When Doctor William Blackwood, a proper gentleman who prefers books to actual patients, meets retired Navy surgeon Doctor Augustus Hill, they find in each other not just companionship but the chance of pleasure–and perhaps even more. The desire between them is undeniable but their budding relationship is disrupted by the arrival of a mysterious patient at New York Hospital. Their desperate plan sets William and Augustus against the hospital authorities, and the law. Soon they find themselves embroiled in New York’s seedy underworld, mixed up with prostitutes, spies, and more than a lifetime’s worth of secrets. When nothing is as it seems can they find something real in each other? Cover + Excerpt Reveal for All Downhill From Here by Erin Ptah! Or: 13K words of fantasy survival hurt/comfort m/m, with translation difficulties, tangled loyalties, and romantic tension in between the mortal peril. They talk, for a little while, about safe topics. Nothing political. Nothing that has a real chance of killing either of them over the next few days. At some point Thorn pulls out his smartcrystal, and Leif nearly melts with delight as he coos through the photos of Thorn’s cat. Some things are culturally universal. There’s a scramble as they rearrange their bodies and their clothes, so Thorn is facing the mouth of the tunnel with Leif hugging him from behind. The back-to-front coat means he can’t put his hood up, not without choking himself or at least getting a faceful of fur, so he gets to keep Leif’s scarf. Leif, meanwhile, nuzzles bare-faced against the back of his neck. It’s…nice, okay? It’s really nice. It’s…. Look, it’s not like Thorn doesn’t know what’s going on, here. You go through a dangerous situation with another person, either you wind up stressed enough to go at each other’s throats, or worked-up enough to go at each other’s…well. Possibly also throats. Depending on what you’re into. Especially if your companion is resourceful, and confident, and kind, and occasionally vulnerable, and unselfconscious about wrapping his arms around you to ward off the chill. Cute, too. Not that cuteness is the most pressing issue on Thorn’s mind right now…but he has noticed Leif’s snub nose and thin lips and pale, expressive skin. He might even have said something, if not for be careful with the Sønska servants plus working up a sweat makes you more likely to freeze to death. Release date is December 20! 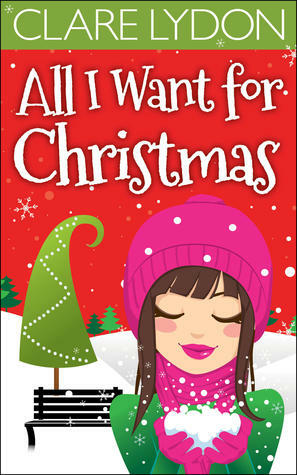 It’s December and the holidays are upon us, so what better choice for a backlist read than an f/f Christmas Romance?? Especially one that kicks off a holiday-themed series with the same couple starring throughout. Jump in for Christmas, and pick ’em back up for Valentine’s Day! However, Tori’s dates bring their own complications, and when someone unexpected strolls back into her life, her Christmas girlfriend quest is turned upside down. Will Tori land on her feet and find the woman of her dreams? And if she does, will it be who she expected?